The NEW Bodybuilding Diet – G.L.A.D. I firmly believe that this is THE bodybuilder’s diet. Nothing is going to pack on mass quite like it. You are about to be introduced to a diet that will allow you to build NEW slabs of muscle without adding any body fat. This diet acts as a biological TRIGGER to jack up your body’s anabolic hormones. In fact I’ll say this: Meaningful gains in muscle mass will ONLY happen once you accept the fact that you must create an optimal anabolic environment inside your body. Half of the story is training correctly (see 12 steps to building max muscle). The other half is diet and is fully covered in this article. NOTE: I have a free MuscleHack calculator that will automatically calculate your daily protein & calorie requirements. You can use it and even download it if you prefer. If you would like access to it, just type in your email below. (2) NOT add any fat while accomplishing step 1 i.e. you CAN stay lean! GLAD is the diet I formulated that accomplishes all 3! Best of all – it’s a breeze! Your body will be PRIMED for adding rock-hard muscle – all the time! You CAN build MAXIMUM muscle without adding fat, but ONLY if you control the body’s release of insulin. This nutritional approach will take care of this without you having to think about it. Sounds good, right? It is. GLAD delivers – big time! G.I. is a QUALITATIVE measure only i.e. it ONLY accounts for the glycemic index of carbohydrates; the amount of carbs per serving is ignored. Low-Carb is a QUANTITATIVE measure i.e. it ONLY accounts for the AMOUNT of carbohydrate in the diet. GL takes BOTH these important factors and marries them into a GREATER WISDOM. It shows HOW a particular food affects blood sugar. It is the actual LOAD placed on blood sugar per unit time that is important. What I have done is thoroughly researched this field and made the necessary amendments to create an ANABOLIC glycemic load diet, or the Glycemic Load Anabolic Diet. GL points are the GLUCOSE EQUIVALENT of a given food in grams (Glycemic Load is sometimes referred to as GCE or ‘Glycemic Glucose Equivalent’). Put simply, that means that a meal with a GL of ‘7’ means that you just consumed the equivalent of 7 grams of glucose, as far as impacting your blood sugar is concerned – that’s pretty cool! It’ll also prevent arterial damage caused by high blood sugar. However, on this new version of GLAD, you don’t need to actually count GL’s. It’s automatically taken care of by implementing the 5 GLAD rules below. If you’ve no idea why carbs and insulin can encourage fat storage and still are of the mindset that a calorie is a calorie no matter where it comes from, read this article – Carbs & Weight Loss. (1) Eat REAL, Natural Fats. Dietary fat plays a MAJOR role in maximizing our anabolic hormone profile. However, for this to work, they need to be real fats – both saturated and unsaturated. So avoid fats from unnatural sources. Eat butter instead of margarine. Only eat natural peanut butter. Eggs, cheese, and full-fat milk are also on the GLAD menu. As a bonus, dietary fat in every meal helps further reduce the glycemic impact of the food. (2) Avoid Sugar and Processed Carbs. These are trash carbs. They are nutritionally bankrupt and cause fast rises in insulin. Stick to the type of carbs I am about to list for you. Point (1) above will only work so well if don’t get this part right! Using low GL carbs stabilizes insulin and it is this that allows for higher levels of growth hormone in the body. (3) Eat No More Than Your Sufficient Calorie Requirement For Building Muscle. This is what I’m referring to as your Sufficient Calorie Requirement (SCR). The usual advice from meat-heads is to work out how many calories your body needs for the first 3 factors above, than add on about 500 extra calories per day for no.4 – Repair & Growth. No wonder almost everyone looking to ‘bulk up’ is just getting fatter. Folks, there are only 600 calories in a pound of muscle (compared to fat’s 3500 per pound). 500 extra calories per day for growth alone comes to 3500 extra calories per week. Unless you honestly believe that you’re going to build a few pounds of muscle every single week (this isn’t possible), you can EXPECT to get fatter. Be smart – eat your SCR. In previous posts I advocated around 200-300 calories for growth of muscle tissue. (I) Resting Metabolic Rate – The best way of calculating your Resting Metabolic Rate is with something called the Katch-McArdle formula. You’ll also need know your body fat percentage. This is where a cheap pair of body fat calipers comes in very handy. (II) Calories Burned From Daily Activity/Job – Different daily activities obviously have different energy requirements. That’s why it’s important to factor in your occupational calorie burn. (III) Calories Burned From Exercise – Exercise obviously expends energy so we need to factor this in too. 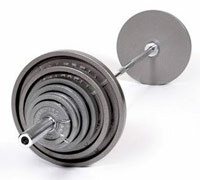 A typical 40-50 minute weight training session (like THT) will expend roughly 200-250 calories. Now add your figure from step (II) to step (III). (4) Eat 4 Times Per Day. This should be fairly self-explanatory. 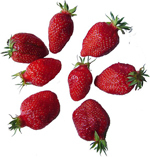 Eating small and often will produce smaller increases in blood sugar. More level blood sugar means less chance of going into fat-storage mode AND a healthier you! However, there’s no need to overdo it and eat 6, 7, 8 or more times per day as some suggest. If you’ve been led to believe that you need to eat 6 or more times a day because your body can only absorb 20-30g of protein per sitting, you need to read this article. (5) Eat Protein & Fat at Every Meal with your Carbs. Carrying on from above, we’ll have a steady supply of muscle-building protein with this approach, but also, protein and fat help slow the digestion of carbohydrate in the meal. This is why you should combine all 3 macros at every sitting. Example…A person weighs 160 lbs with 15% body fat. This means they carry 24 lbs of fat. 61.8 x 2.75 = 169.95 – let’s call it 170g of protein per day. So, that’s the 5 GLAD rules thoroughly covered. You’ll be hitting under 90GL’s on autopilot without the tedious task of having to count it up. You’ll automatically strike a balance that allows for maximum muscle growth and also effectively SHUTS DOWN the fat storing mechanism at the same time! Since calories and GL’s are taken care of, you DON’T need to be super-strict on macros. Like I said at the beginning, GLAD is EASY! 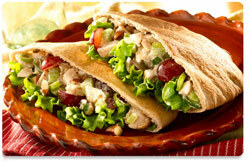 However, for information purposes, GLAD will work out around a 40/30/30 (carb/protein/fat) diet – or perhaps 35/30/35. What’s on the GLAD Menu? If it’s a workout day, make sure you include that post-workout shake in there. Protein Synthesis – Omega 3 has also been shown to improve protein synthesis levels. A good idea is to take 2g AFTER your post-workout shake and within an hour of finishing your workout. So let’s wrap this up with the steps you’ll now need to take to start this healthy, muscle-building lifestyle. Here’s the simple steps on how to start using this diet to build muscle & stop fat accumulation dead in its tracks. (3) Plan to eat 4 times per day to include protein, real carbs, and real fat at every meal. (5) Prepare a few days or a week’s meals in advance so you don’t get stuck. Once you’ve been doing this a week or so you’ll have it mastered and not need to prepare so much in advance. Do you measure foods in ounces, not grams? No probs – make use of Google’s ‘Unit Converter’ tool. No one eats perfectly all the time. You should allow yourself some indulgences periodically. When on GLAD I recommend you just forget the GL and simply count the calories of the cheat meal towards your daily totals. Over the course of a year this will add up to a few pounds of fat, but so what, it comes off pretty easily when you know what you’re doing. I hoped you liked this article and are excited about getting started on a brand new, anabolic lifestyle. With this knowledge, you’ll be building more muscle and feeling much better in no time! It took me a long time to both research and write this article for you. If I could ask you guys to help spread the word any way you can, I would really appreciate it. Like it on facebook, submit it to social bookmarking sites like stumbleupon, tweet it on twitter, tell your readers if you have your own site; anything you could do would be a great help. Thank You! Eat Well & Get Big! Woo-hooo! I’m *definitely* excited about this plan, and implementing it with my very next meal. 🙂 It’s reminiscent of the way my nutritionist has recommended I eat to control my blood sugar, but better because it takes into account the needs of someone whose primary exercise is weightlifting. Thanks again for all the hard work, Mark! When consuming carbs, animal fats (from full fat milk) butter, fats that aren’t EFA’s, are exactly what your not suppose to eat. You store it as fat GUARANTEED! Take my advice, if fat is needed, consume Essential Fatty Acid’s. Just sit down and think about it for a second, EFA’s, ESSENTIAL FATTY ACIDS. THEY ARE ESSENTIAL. YOUR BODY HAS TO HAVE THEM and SHOULD NOT have “Bad Fat” Anything. Olive Oil, almond butter, nuts, thats whats up. What about work out supplements? I use creatine with dextrose. The dextrose provides and insulin spike to help with creatine absorption, but that is counter productive to this diet. Would you cycle of creatine or take it without any sugars? Nice work, Mark! I gotta say, I was enjoying the low-carb lifestyle, but it didn’t seem to have the balance that this proposed diet has. Also, I’m an American living in Japan and the Japanese LOVE their carbs, so I’ve been cooking every meal for the last six months, except for during carb-ups, and this can be a real pain when I’m out and about. Thanks to your site I’ve certainly put on a lot of muscle with the low-carb diet (see ya skin n bones!) and hope to continue with this diet. Thanks so much for your effort on this. Looking forward to future articles! This new work out is great!! but can you please please plesase create an entire diet and work out for some who is NOT tryin to bulk up at all and wants to lean and defined. i dont want size at all, i just want to learn how to get rid of body fat around my belly and lower back and overall my whole body…i need to be lean because i model, i cant and i dont want to bulk up at all. Please help!!! So where does the MANS diet fit into the whole scheme of things at this point? Also, how much saturated fat would you recommend as a limit on the MANS diet? good article, but now im confused what i need to follow.. the MANS diet, carb cylcing, or the GLAD diet… Regardless of the diet i thought th eone golden rule was that you dont need carbs when eating protein, especially after a workout as this didnt increase protein synthesis. Im sticking to your carb cycling diet which im finding to be so so so so awesome in term of fat loss and muscle gain. And combined with your THT program it is an absolute killer. I have made some changes that ive cut back on some exercises and only doing 3 days a week. I think i have a slower recovery ability and this is why ive done this.But it seems to be working for me. Wow! What a great and long post. I’ve been transitioning to a ‘wholegrain’ approach to carbs, but I’m going to step this up a notch to GLAD. By the way Mark have you used http://su.pr ? Great way to track tweet clicks and increase SU views. As always, a fantastic addition to the health and fitness world. Mark, I appreciate the time and effort you take to impart such a thorough education on a particular food consumption plan. You have been a great influence on how I eat to obtain certain goals and know that it works in the real world. Thanks again! Hey Mark, love the article & will definately become a GLAD dieter soon. Would you say this approach is better than MANS for muscle building? @Formonster. I appreciate your concern for people’s health and well being but it is not warranted in this case – not mad at ya bro. Check it out.. In the article I state to limit saturated fat to 30-40grams which is actually in line with government guidelines, and they consider this level safe while STILL advocating a diet largely consisting of starches. Saturated fat is not stored as body fat unless you’re in a surplus-calorie environment. This diet also takes care of that. Also note that a zero saturated fat diet is also not desirable. Every cell membrane in your body is made from saturated fat. A few times in the article I stress consumption of EFAs, so maybe you missed those points. Nuts, seeds, fish and their oils are very much encouraged on the GLAD diet. The only time butter is mentioned in the article, you’ll note an ‘optional’ beside it. There is also coconut oil beside it as an alternative, which although is mostly saturated, is readily agreed upon as very healthy and in fact, a ‘superfood.’ The main reason I include it as optional is to help people steer clear of trans-fat-laden margarines. @kevin – this is covered in the article. See the section under the sample daily menu. @Jarrett – Great to hear your success. I hope you consider GLAD if it’ll make your life a little easier. @Tosin. That’s why I create Total Six Pack Abs. That book IS my full diet and workout for getting and staying lean. @Bill. MANS and GLAD are alternatives to bulking diets. It’s up to you which one you want to go with. On very low-carb diets like MANS, there is no sat fat limit – you’ll need it for energy. No study has ever shown anything harmful about sat fat when carb intake is very low. DO cut it down on the carb-ups though – as low as 20-30g on those days. @Sonny. Many people report simultaneous fat loss and muscle building on MANS. Go with whatever diet you prefer. For my next bulking cycle I’m going with GLAD. In my opinion they’d be equally effective in terms of mass-building, but GLAD would be an easier lifestyle to live in terms of food choices. @Chris – Thanks man, and thanks for re-tweeting the post for me. I’ll check out that SU tool. @Lester. Thank You. See my comments above where I covered your question. http://www.nutritiondata.com has a great food look up tool that has GL and other stats for every food you could think of! Have you ever stopped to considered the effects of your diets on electrolyte balances which can lead to heart palpitations and other serious side effects? Hello Mark,I am a GLADiator and loving this diet so much.This article creates a bigger variety of foods that I know their Glycemic Load Value and choose from. It would be great if you created a stick post like that for MANS with the list of GLAD foods so that it can be updated with knew ones. How does GLAD work for cutting? Is muscle lost on GLAD while dieting down to achieve low bodyfat? Is it ok to use the GLADs diet on a week that you take a break from workouts? Would all of the unused glycogen cause fat gain on such a week? I would have thought that MANS or GLAD depends on your genetic ability to cope with carbs. I traditionally dieted for 4 months to lose 48 pounds, but then plateaud for 2 months whilst still beingin caloric deficit. I was eating 50:30:20 carb:prot:fat. I was stuck at about 13% bf. I’m now on TSPA diet (2 weeks in) so too early to give a read, but I’ve felt good on 30g of carbs per day (carb up tomorrow). During a body fat measurement, I was told I had a genetic marker (subscap measurement) that said I was not good with carbs. This makes sense to me. If TSPA works (i’m confident it will), I’ll go onto MANS, not GLAD. 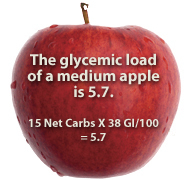 ESTIMATED GLYCEMIC LOAD™ Glycemic load is a way of expressing a food or meal’s effect on blood-sugar levels. Nutrition Data’s patent-pending Estimated Glycemic Load™ (eGL) is available for every food in the database as well as for custom foods, meals, and recipes in your Pantry. Hi Mark, I added my macros up and I’m low on calories, I dont really want to add extra carbs so would it be okay to have an extra 40-50g protein even though that would be over my required amount? I know on MANS we shouldn’t go over but is it okay on GLAD. I hadn’t added a post workout shake so this would take that spot. Awesome post! I’ve been a huge fan of the low carb bodybuilding diets that have been making the rounds over the years, but they all had one very fundamental flaw…No normal person could stick with a no carb – very low carb approach for very long! So even though they were effective for fat loss and muscle gain, they really were not very realistic for most people. I like your new approach, it allows you to utilize carbohydrates in a responsible manner while adhering to the fundamentals of efficient fat loss. Great resource here Mark. It will serve as a very handy reference for me. Actually, I have been eating low GL foods for quite some time – sometimes w/out really knowing it – just because my body feels better when eating certain types of carbs. Also, I have been experimenting with fasting fro 24 hours once a week (or every 2 weeks) and this really seems to keep my body fat down. 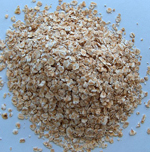 concentrations slightly; however, by definition, the GI is based on 50 g available carbohydrate. Thus, we ignored alcoholic beverages during the calculation of dietary GI and GL.” (http://www.ajcn.org/cgi/reprint/83/5/1161.pdf). I’m considering not counting it assuming I can stick to 3 drinks no more than once per week. Your thoughts? @Undertaker – No probs – I’ll make a sticky post in the forum for GLAD recipes. @Mykim – GLAD is a bulking diet only. @Rich. I’m GLADing now. Was MANSing for a few years, then GLADed for a little bit before my recent cut. Now back on GLAD. @Stuart. Yes, do what works best for you. @Undertaker. I think it sounds good and I generally agree with it. I’ve only tested this diet on myself and would need feedback from others before setting a definite GL limit. For example, if people find it hard to reach their daily calories at 90GLs, I would have to look at it again. Also, if people reported fat gain, it may need to be lowered for them. At this point, 90GLs is a great place to start. @John. If you aren’t eating your full GL allowance, go ahead and do that – you should be able to reach your SCR. Don’t be worried about the carbs on this diet, any excess protein will be converted to glucose as the body needs it anyway. @Sam. Just count the calories. Although there seems to be no listing of GLs for alcoholic beverages online, I’m pretty sure it has no meaningful impact on blood sugar. That’s good for spirits but people do need to be careful about sugary alcoholic beverages. In regards to what John mentioned about “not going over” for protein in MANS, is that true, and what is the amount not to go over in MANS? And what happens if you do go over? @Bill. Yes thats the case with any low carb diet that reqiures enough protein for building muscle, I’m excluding sedentry people here who dont comsume as much. Here is an example based on your weight, I’m just taking a stab in the dark and using your weight and 10% body fat as you say your lean. I worked your lean body mass to be 72kg so once you have this sum you * 2.75 = 198g protein per day, call it 200g. You say your eating 310g per day but on a low carb diet you want to keep carbs low, your doing that but because your overcomsuming on protein your body can convert excess protein into glucose through a process called Gluconeogenesis, this mean that the extra 100g protein your body doesn’t need for muscle repairs will get converted to Glucose/carbohyrate. I think Mark mentioned somewhere that every 50g excess protein consumed can be converted to a 60% rate so about 30g in that case, this means you carb intake would actually be 67g for the day. Check this link out, Mark talks about it http://audioboo.fm/boos/28759-why-you-shouldn-t-overconsume-protein-on-a-low-carb-diet. Wether this is the case all the time I dont know, the exact ins & outs of it are not completely clear to me but this wont be a concern on a high carb diet as the body would have no real reason to convert protein as you would most likely consume adequate carbs and as your on high carb anyway you need not worry. mark when you say 90g of pasta do i weigh it before i boil it. so its 90g of pasta dry? with this it is possible to calculate for 91.8 % +/- 4,1 % confidence the ree of a sporter. Hope this is useful to you and your reader. @Stephen. It’s 90g of cooked pasta. I was looking at you numbers for the Rye bread which you have a GL of 6. When I look them up in one of the databases it says 7 or 8. Do they consider “net carbs” or just total carbs? If we should be using net carbs then this would make it more difficult to detemine of the databases do not use this. How did you arrive at the GL numbers that you have? I want to create my own mini databse in Excel to use for the foods I consume. @Scubadave. In the article it states “Wholemeal Rye Bread (1 slice) – 8 GLs”. Only Rye kernel (pumpernickel) bread has a GL of 6. I list the databases I use in the article. If the product is not listed you can work it out if you find the Glycemic Index and use the formula in the article. BTW, regarding pasta, boiling it just about doubles it’s weight. So a standard American (brand) serving of 56 grams of pasta will yield about 120 grams cooked. i think i went abit crazy on the diet and cut out carbs completely for 2 weeks now. what do i do to put the carbs back into my diet without the weight gain? i train 7 days a week 2 days without weights. have lost quite a bit of weight and now am worried that i will gain it back if i stop. cheers. just to add, i figured that i could cut out carbs completely because i am a student and don’t need them that much. bt i find that it has affected my performance in both cardio and weight training. other than working out at the gym, i just do normal student things, and do not consider it an active lifestyle. I have done this before. What you may want to consider is eating higher protein (say 4 oz meat/ 6 times a day) and some heathy fats (say a salad with some olive oil mixed in with some dressing). THEN, eat some low GL carbs afterwards. This way, you’re lessening the dramatic influx of blood sugars and the carbs are even further slowed down by the fats and protein. Don’t eat carbs all by themselves. I would steer clear of liquid carbs (cola) and quick digesting carbs (such as white bread, potato & pasta). One of my favorite low GI carbs is Ezekiel bread which is flourless and has a GI of 33. The GL is low for one slice. Take it slow, in a week you’ll be fine. hi andrew thanks for that. it took me a while to understand what you were saying bt i get it now. i am quite keen for this ezekiel bread and will probably try to make my own. Wow Mark – I started working out diets for my training clients and I must tell you, I AM SO IMPRESSED WITH YOUR WORK!!!!!!!!!!!!!!!!!!!!!!!!! What you have put together here SAVED ME ENDLESS HOURS OF HARD WORK RESEARCHING myself. I hope the guys appreciate the TREMENDOUS amounts of work you put into this AND WE ALL GET IT FROM YOU FREE OF CHARGE!!!!! Really amazing!!!!! THANKS THANKS THANKS!!!!!!!!!!!!!!!!!!!!!!!!!!!!!!! @Paul. Your comments are very much appreciated man. It took quite a while researching for this article but it was necessary to make it as helpful for people as possible. I gained like 3% BF this fall thanks to vacation, injury (less workout) and lots of candy (halloween), beer, etc. Can I burn any significant amount of at quicker or should I look at a temporary low carb run? Let me know what you think would be a better idea. Then back to your regular bulking style. That should shift 4-5 pounds of fat without too much pain. how much dietary fiber should you eat on this diet? does the post workout shake count as a meal and count toward your daily calorie and protein requirements, or is it just extra for workout days? When you are on your mini-cut cycle, do you still take creatine? Or do you wait until your 9 week creatine cycle is completed before you decide to go on your mini-cut diet? @Richard. Just protein and cals. As I say in the article, It’ll work out at roughly 40/30/30 without you doing any calculations. You already know your pro and cals, so you’re all set. Just eat the recommended carbs as opposed to refined carbs. Mark I have always like the GLAD diet BUT since I have been following the JnR diet I would say it’s better than the GLAD diet by far. The only problem I find with GLAD Diet is you have to cap your sat fat intake. Recently I have been having bullet proof coffee with my first meal of the day around 15g coconut oil and 14g of Kerry gold grass fed butter all blended with a good quality coffee. Great article. I like the lower carb diet better. Get rid of the breads too. Also Mark, you need to look into Leangains guide to fasting. This has so many great benefits to muscle gain and fat loss. This is the best thing I have ever stumbled on. This can be used is so many different ways and works great with your diets. This came at a perfect time for me, I was getting fed up with the MANs diet after doing it for over a year and finding it too restrictive. I did look at the old GLAD diet and it seemed too complicated ad also too fussy. But this new GLAD looks much simpler an easier to live with and as soon as I finish my last week of my HIT cycle I’ll be using the new GLAD diet during my rest week. Thanks for all your effort Mark, very much appreciated as usual! Great job Mark, I have been on MANS for a while but I am definitely considering trying out GLAD especially since I can still eat my fair share of fat. I appreciate all your selfless work and PLEASE no more “April Fools” jokes haha, dont know what I’d do without this site. Mark would like you feedback please. Just read through the whole new GLAD Diet, looks a bit similar to what I am doing already, just one question? The “post workout” as you know I am doing JnR diet which states I take some carbohydrates with my post workout shake which I take dextrose with skimmed milk should I still be doing this after your take on carbohydrate do nothing to increase protein synthesis? I’m so confused, so much information and so much conflicting each other, I spend so much time researching to find what’s the best way… and here I am. Spent an hour and a half going through everything from the glad diet…to how to have ripped abs to how to make proats. Need advice. I’m 31 and used to be in decent shape in my early 20’s. two kids later and not so much, about 2-3 times a year a get the urge to start working out, insanity…weights…training for triathlons and every time 2 months into it I don’t like how I look yet and give up. I need something that will help me LOSE fat AND gain muscle, losing fat requires decrease in calories and gaining muscle requires increase of calories….should I just focus on losing fat first and only than work on building muscle, currently I’m 5’9 175ish about 18-20% body fat….down from 194 and 22-24% so I feel like I’m doing something right. @KRS. Yes, the liquid carbs in JnR are there for convenience because of the way the diet is set up. So if it’s fitting your lifestyle there’s no problem with taking them. It won’t increase PS, but that’s not the point in this case, it’s a matter of convenience and hitting our macros on JnR. This is excellent stuff. I bought 6 Pack Abs but haven’t had time to digest it all with my busy schedule. My recommendation is all natural stevia (which your body treats like a food) or agave. Based on the GLAD formula, my minimum calorie requirement is 2,608. I’m 5’6” and weighing 181 lbs (36% body fat, 120 lean mass). It seems 2,608 is high if I want to lose weight OR something is wrong with my calculations. @Jojo. This is a bulking diet i.e. its aim is to build maximum muscle without adding any bodyfat like other bulking diets do. So all your weight gain will be lean. However, you seem to be looking for a way to get rid of body fat while building muscle. This requires a different diet – see my Total Six Pack Abs program for this. It has its own workout, diet, and calculator that will do all the math for you.